Set in the heart of Pitshanager Lane is this delightful three bedroom period property. The property offers two reception rooms, fitted kitchen, utility area, two double bedrooms, single room, family bathroom, as well as period features though out and has a well maintained enclosed garden. You will receive a warm welcome when entering the house, the bright entrance hall has original wood flooring, wall mounted radiator, fuse box and leads to all room on the ground floor and stairs to the first floor. The lounge has a large square bay overlooking the front garden, original feature fire place, fitted carpets wall mounted radiator and ample power points. This spacious dining room have been decorated in neutral colours and offers space for up to 10 covers, with fitted carpets, wall mounted radiator and double glazed door opening in to the garden. 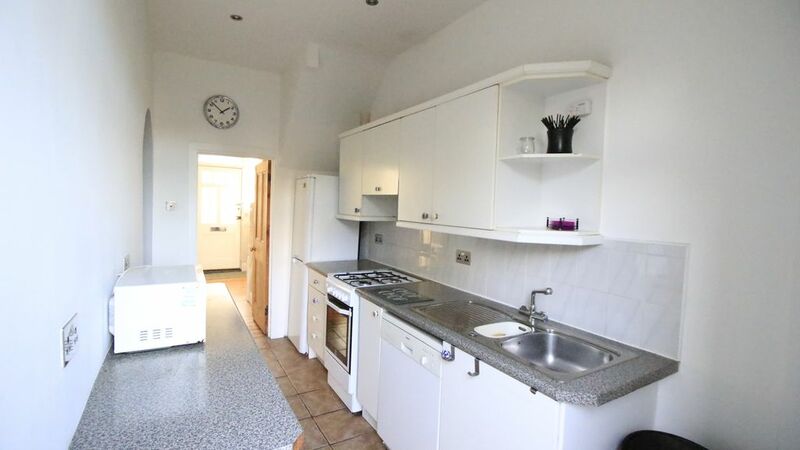 The kitchen has a range of eye and low level units, tiled floor, partly tiled walls, white goods include, fridge / freezer, dishwasher, gas oven and hob, and double glazed door leading to the garden. Set to the front of the property the master bedroom has an array of build in wardrobes and chest of draws, square bay window, feature fire place, ample power points and wall mounted radiator. This great sized second bedroom has views overlooking the rear garden, fitted carpets and power points. This room would make a perfect child’s room, nursery or office. The bathroom comprises of, tiled walls and floor, enclosed bath with shower overhead, hand basin, and low level w.c.
A lovely enclosed garden with panel fencing mainly laid to lawn, with patio area and storage shed.